We have never hid our belief in homeownership. That does not mean we think EVERYONE should run out and buy a house. However, if a person or family is ready, willingand able to purchase a home, we believe that owning is much better than renting. And we believe that now is a great time to buy. It is crucially important that, as experts in the real estate field, we can articulate what is actually taking place in the housing market…especially when news headlines are causing confusion. That is definitely the case right now when it comes to existing home sales numbers. Overall, sales volumes are down. We realize that. However, a closer look at the numbers show that certain categories and price ranges are down while others are up. 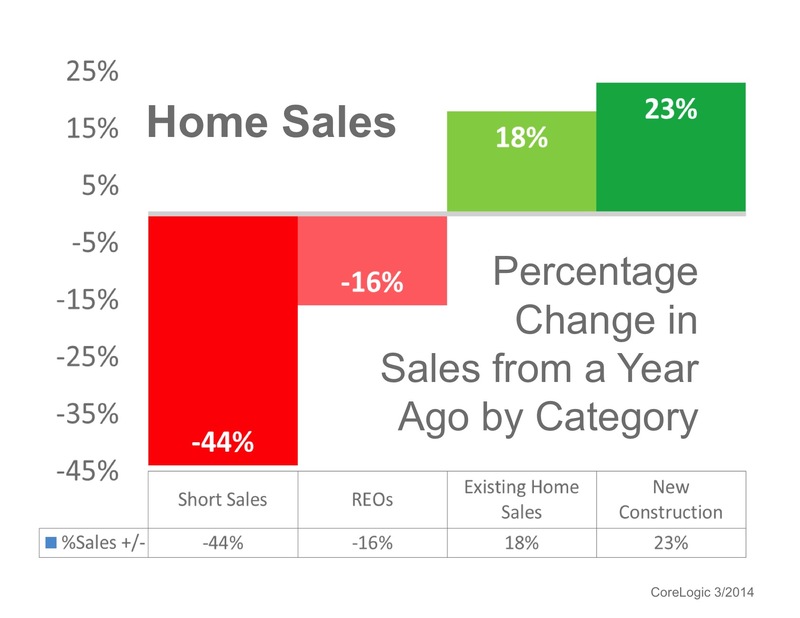 Below is CoreLogic’s breakdown of recent sales compared to last year by category. As we can see, distressed property sales are down while non-distressed property sales are up. Now let’s look at NAR’s breakdown of recent sales by price point. As we can see, lower priced homes (distressed properties?) are down while every category over $250K increased. 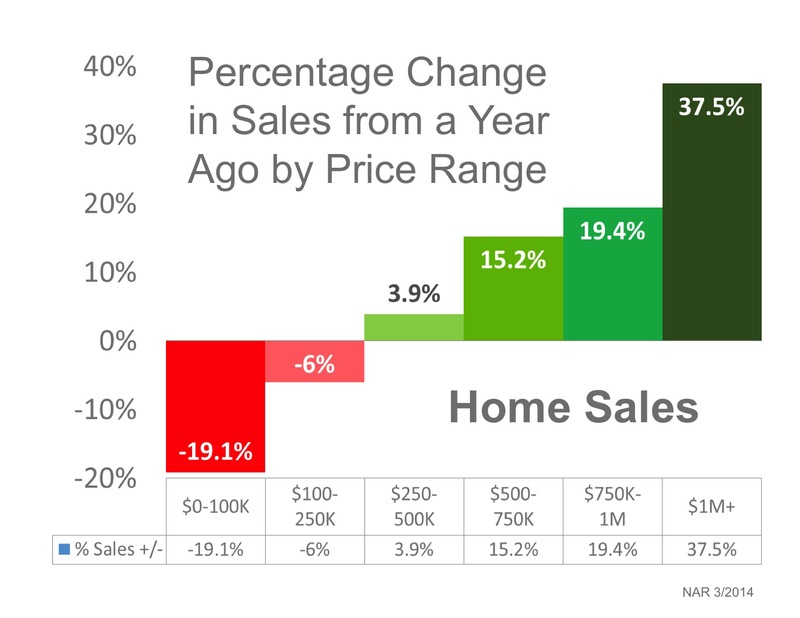 Let’s make sure we promote what is actually happening with home sales to consumers in our markets. 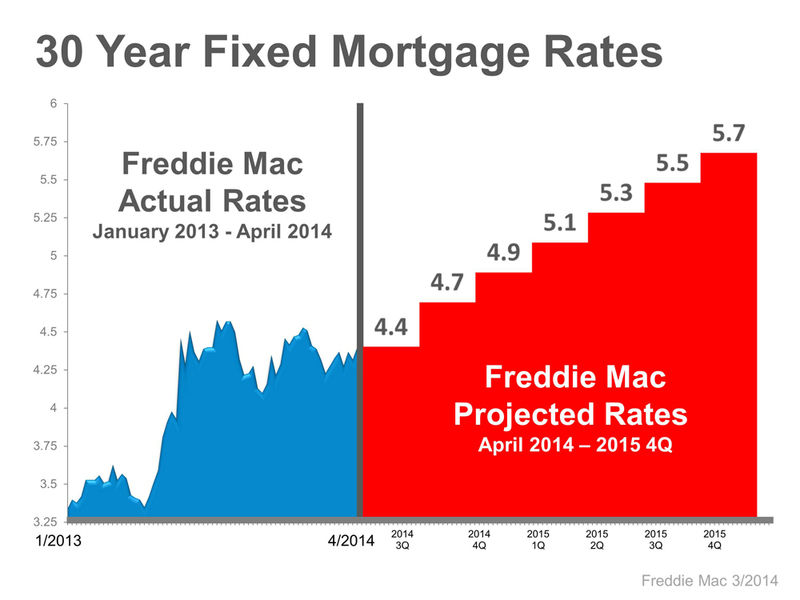 The most recent projection by Freddie Mac calls for 30 year fixed mortgage rates to hit 5.7% by the end of 2015. Will First-Time Buyers Face Challenges? Weather, tight credit, and higher home prices were the cause for stagnant housing in recent months, according to the National Association of REALTORS® (NAR). February Existing Home Sales fell by 0.4 percent from January to 4.60 million units on an annualized basis. While this figure was in line with estimates, it was still 7.1 percent less than the number of Existing Home Sales registered one year ago. Weather was also blamed for lower-than-expected Housing Starts in February, reported at 907,000. Housing Starts have been declining since November's annual rate of 1.101 million—the highest since 2008. However, Building Permits, a sign of future construction, increased by 7.5 percent in February to 1.018 million, well above expectations. Better readings are anticipated in future housing reports, as the weather becomes milder around the nation. Housing Out of Reach for First-timers? It seems first-time homebuyers are being squeezed out of the market due to rising home prices and tighter lending requirements. First-timers accounted for 26 percent of purchases in January, down from 30 percent a year earlier, according to the NAR. 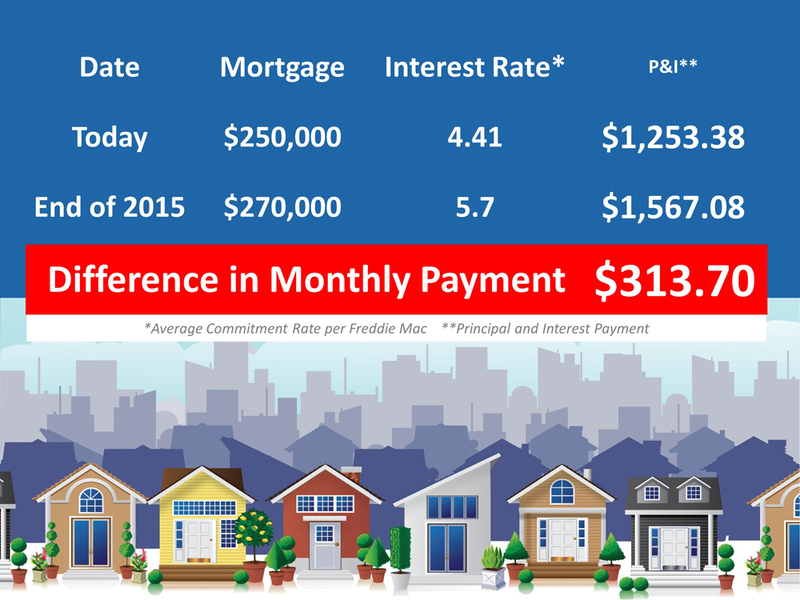 This figure is the lowest the NAR has recorded since it began monthly measurements in October 2008, according to Bloomberg. Strong housing markets are indicated by robust constructions starts, new home sales and first-time homebuyer volume. A worrying trend is that there is insufficient inventory for average priced homes, with home sales over $250,000 increasing by 8.2 percent, and those under $250,000 decreasing by 10.7 percent, according to the NAR. U.S. home values continue to rise as buyers compete for a limited supply of properties for sale. Prices climbed 12 percent in January from a year earlier, the twenty-third consecutive gain, said Irvine, California-based CoreLogic Inc. last month. Analysts assert that there aren't enough homes on the market, with recovery efforts since 2008's housing bubble focusing too much on the financing side, and not enough on the physical side. Conditions could improve as building permits are approved and housing starts slowly pick up the pace. Labels: A New Season for Housing Will First-Time Buyers Face Challenges? 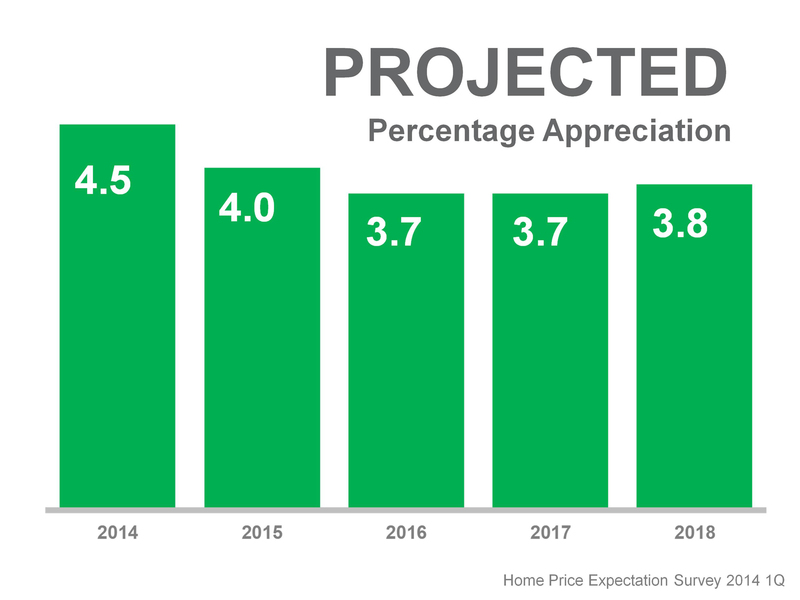 Many housing pundits are calling for home sales to do slightly better in 2014 than they did in 2013. To the contrary, we strongly believe that home sales will skyrocket with increases of 10-15% in 2014. Here are the three categories of buyers we believe will create this strong demand. The Urban Land Institute recently released a report, Emerging Trends in Real Estate 2014, projecting that 4.48 million new households will be formed over the next three years. Millennials will make up a large portion of these new households. 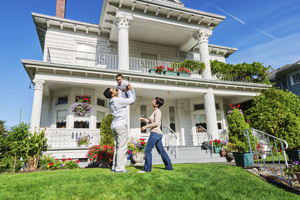 With the economy improving, we believe they will finally be moving out of their parents’ homes and, when they compare renting versus buying, many will choose homeownership. Over the last several years many homeowners were trapped in their home by negative equity. This prevented them from moving up to the home of their dreams. Zillow has justrevealed that home equity increased by $1.9 trillion dollars in 2013 an increase of 7.9% in the last twelve months. With home values rising, this pent-up demand will finally be released and move-up properties will be in high demand. No one knows what will happen with immigration reform. However, we do know what such reform would have on housing demand. A recent study released by the Immigration Task Force of the Bipartisan Policy Center (BPC) found that immigration reform, if passed, would dramatically increase demand for housing units; increasing residential construction spending by an average of $68 billion per year over the next 20 years. We realize that our projections are based on three situations that are still uncertain. However, we believe that these issues will come to fruition and thereby dramatically increase demand for homeownership. Trading limits. Many plans allow you to move money at any time, but some strings are usually attached. It’s generally not advisable to move long-term retirement savings around for short periods of time. If you do want to switch from time to time, keep in mind that your plan may allow only a set number of trades each week, month, quarter, or year. Account valuations. Find out how often the value of your retirement account is calculated. You can get the most out of your money by timing your departure. Most companies value everything the day you retire, but some value your account weekly, monthly, or quarterly. Withdrawal options. Know how to access your money when you need it. Some plans don’t allow retirees to keep their money in place. Instead, they pay out a lump sum to be reinvested elsewhere. Other plans allow retirees to take a stream of payments (so it serves as an income source) while the rest of the money stays in the plan. Be sure to do your homework before your retirement party. Are you ready to make the step up? Your boss may be impressed with your recent performance on the job, but does that mean you’re prepared to assume more or different responsibilities permanently? Moving ahead before you are comfortable may lead to career-damaging mistakes. Do you want the additional responsibility? How would the new position change your responsibilities and lifestyle? Would you be expected to work longer hours? Travel more frequently? Supervise others? Manage high-profile (and high-stress) projects? Try to envision how your everyday work and home life would change if you took on the new role. Where could you go from here? 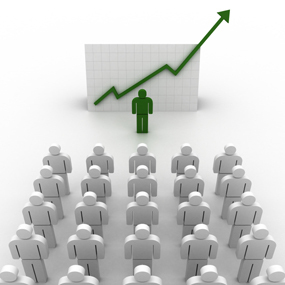 The promotion you’ve been offered may represent a step up in the organization, but then what? Could you advance further, or would you be stuck on a plateau? Would you rather make a lateral move to a different department with more room for advancement? Will the role take you away from what you really love? You must consider whether a new job with different responsibilities, and the benefits and pay raise that might accompany the position, would be enough to fill the void if you must let go of other work you truly enjoy. If you decide to turn down the promotion, meet with your boss personally and let him or her know how flattered you are to be considered for the role. Explain how much you enjoy working for the company and how glad you are to know your contributions are valued. Then, make it clear that you cannot accept this particular offer at this time. If your boss presses to understand your motivation for refusing the promotion, emphasize that you believe staying in your present position is better for you - and the company. Communicate with your boss frequently about what you’d like to accomplish at the company and what training and experience you need to become a better employee overall. What value do you provide customers? This is the reason you’re in business - to fill a need for people better than anyone else can. Why should people come to you and not the next business down the road? The answers will let you identify strengths and set priorities more effectively. What value do you offer your workforce? If you want to attract and retain good people, you have to offer something other employers don’t. A competitive salary is just the start. Employees also appreciate a work atmosphere that encourages innovation, creativity and trust. What do you have to do better than anyone else? The first two questions lead naturally to this third one. How can you continue to distinguish yourself from your competitors? How can you measure your success in these areas? Re-examine your answers every few months to make sure you’re staying on top of the trends in your industry. Some people dream of never working again once they reach retirement. Others - more than you might think - are happy to keep on working. A study conducted by a national life insurance company has found that 40 percent of people planning to retire this year would be happy to keep working past their 65th birthday if given the opportunity. That figure represents 48 percent of men and 32 percent of women. Money isn’t the main motivator, either. The primary motivation for 68 percent of this year’s retirees is the desire to remain physically and mentally active, although 39 percent just don’t like the prospect of sitting at home, and 54 percent say they simply enjoy working. However, most don’t want to put in the same hours: only 13 percent would be willing to work full-time after age 65. About 10 percent would consider starting their own business once they retire, and 5 percent are interested in doing more volunteering. 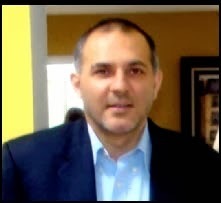 I can help you with all aspect of the transaction. I have been in Real Estate brokerage business over 18 years now ... Take a advantage my experience to get the most for you.